From the author of “Not everyone will understand your journey. That’s fine. It’s not their journey to make sense of. It’s yours” comes a book featuring approximately 400 potentially life-changing lessons for men & women of all ages. This book is free from 04/17/2019 until 04/17/2019. What are you supposed to do when you realize the life you have no longer fits the life you want? I don't know. Because what works best for one person doesn't necessarily work best for another. I can, however, tell you what I did. I quit my job, terminated my lease, and sold everything that wouldn't fit in my car. And this was only the beginning. A short time later, I began a multi-faceted project incorporating five of the things I was most passionate about: Writing, photography, travel, adventure, and connecting with people. This project would lead me to become the protagonist in a real-life choose-your-own-adventure where the internet would tell me where to go and what to do when I got there. I spent nearly 2 years criss-crossing the United States on an epic road trip covering over 60,000 miles. It was supposed to be fun. And some of it was. But it was also far more challenging than I ever expected in ways that I could never have anticipated. It changed my life, my relationships, and my view of the world. In short, it changed everything. When my cross country travels finally came to an end, my journey along the path less traveled continued. And it did so in ways I didn't expect. Because, when it comes down to it, life is a journey. And when you take the path less traveled, you are far less likely to know what you'll get than you will by following the footsteps of others. But one thing you can almost be certain of, the challenges you face beyond your comfort zone will trigger personal growth beyond anything a person typically experiences living in the confines of comfort. 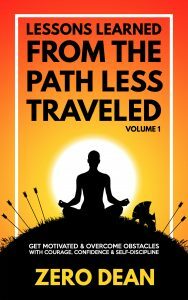 It is from my journey along the path less traveled that I use real-life experiences as a foundation for learning and sharing life's lessons. I am not here to glorify the path less traveled, I'm simply here to share what I've learned from it. This practical guide will share concise methods to overcome anxiety, relate to any audience, develop an effective presentation, make your message count, and stir emotion. The tips and techniques are bite-sized nuggets that will resonate with speakers of all levels—from those wanting to survive a speech to professionals needing reinforcement to hone their craft. Building off the fundamentals of public speaking and presentation skills, this guide offers a practicality that will stand the test of time. 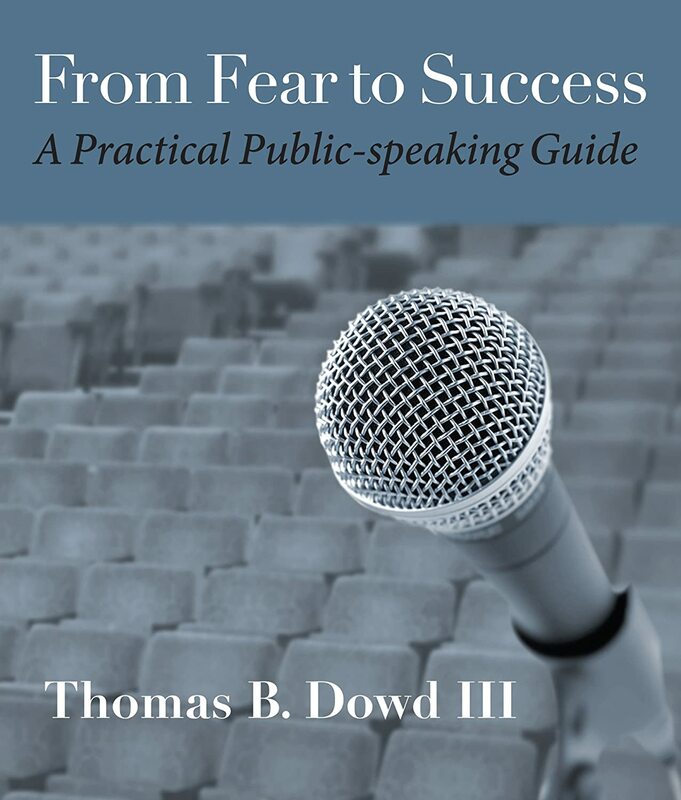 Readers will see that effective public speaking has more to do with confidence than communication skills. Public speaking is everywhere, not just at a podium, and successful public speaking skills can be developed with easy-to-follow steps. Readers will find that their own success, both personal and professional, is directly related to their ability to communicate effectively. Using personal examples of his triumphs and lessons learned, Tom shares his journey to get past the emotion of fear that has gripped everyone at some time in their lives when they stared into a crowd. The techniques included will build the confidence to not just survive one moment, but teach you to play to your own strengths and enjoy a lifetime of effective communication, strong leadership, and lasting personal relationships. Most people already have the groundwork to be a great public speaker. From Fear to Success maneuvers past your trepidations into a new world of self-assurance to build upon this foundation.